After the Excalibur Spider Skeleton Flying Tourbillon, here is a preview of another novelty that Roger Dubuis has prepared for the upcoming Salon International de la Haute Horlogerie (Geneva, 19-23 January 2015): the Excalibur Automatic Skeleton. 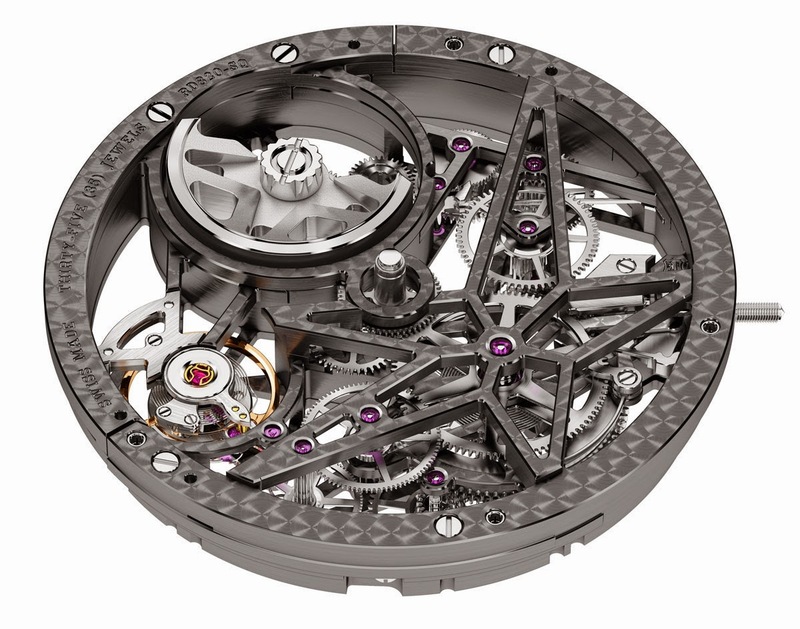 This is the first skeletonised automatic Roger Dubuis movement featuring a micro-rotor. 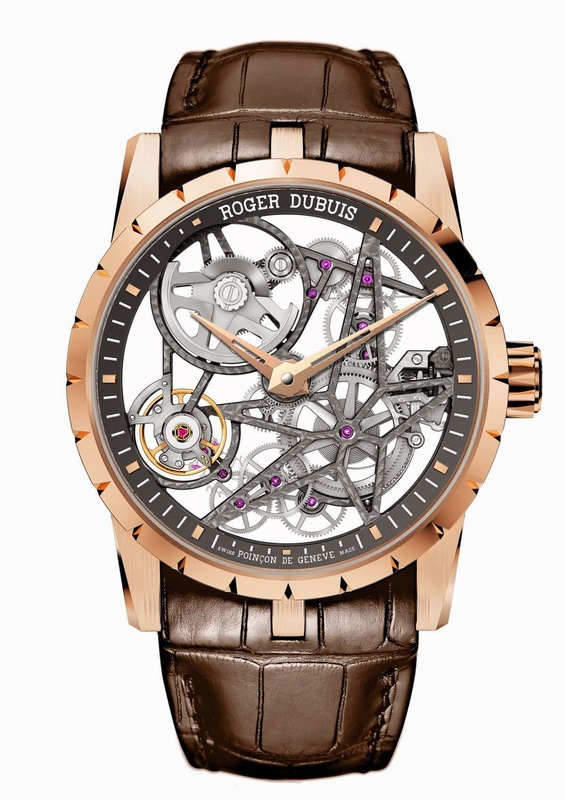 Despite of the self-winding train and the micro-rotor, Roger Dubuis has successfully in maintained the transparency of skeleton-work, while achieving sufficient winding power. The different heights of the elements create an interesting three-dimensional effect. All the 167 parts composing the new in-house RD820SQ automatic skeleton calibre are individually finished according to the high standards of the Poinçon de Genève certification. The movement, beating at 21,600 vibrations per hour, offers a power reserve of 60 hours. The pink gold case of the the Excalibur Automatic Skeleton has a diameter of 42 mm and it is water resistant to 30 metres. The timepiece is completed by a hand-stitched brown alligator strap secured by a pink gold adjustable folding clasp. Pre-SIHH 2015: Roger Dubuis Excalibur Automatic Skeleton. After the Excalibur Spider Skeleton Flying Tourbillon, here is a preview of another novelty that Roger Dubuis has prepared for the upcoming Salon International de la Haute Horlogerie (Geneva, 19-23 January 2015): the Excalibur Automatic Skeleton. 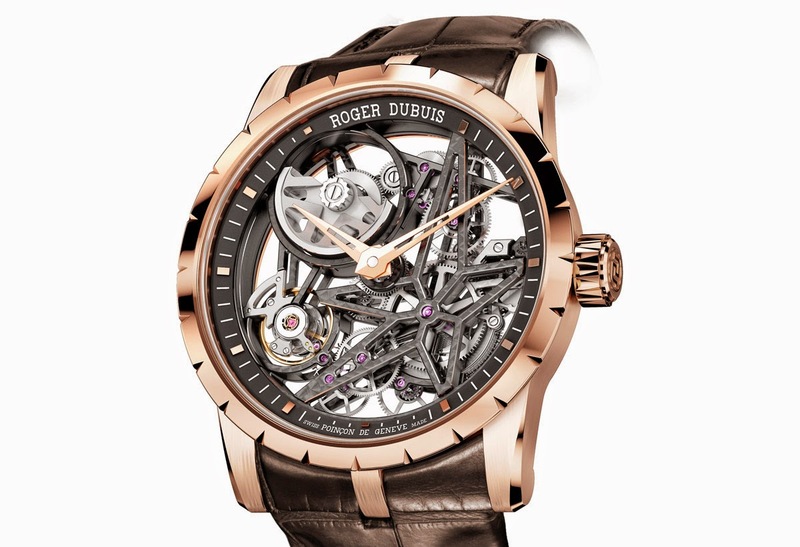 This is the first skeletonised automatic Roger Dubuis movement featuring a micro-rotor.